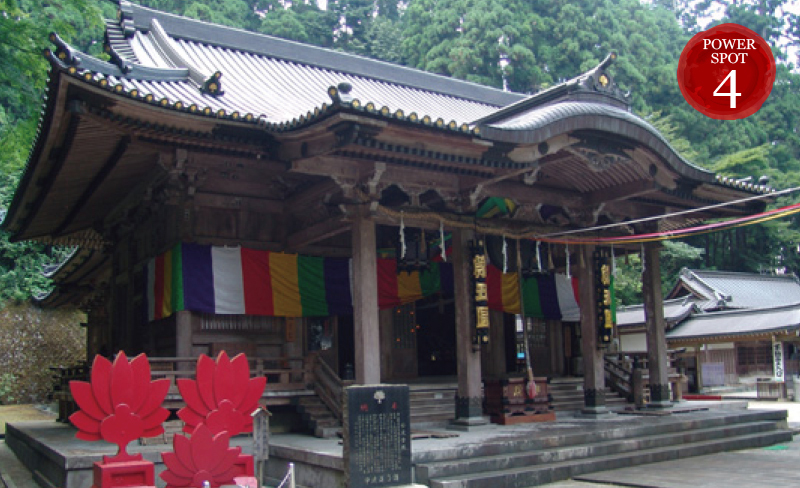 Main shrine where a religious services in the morning and evening are performed and also the sermon to ascetic monks is performed by Yamanushi. Built in 1863, oldest building in the temple precinct. 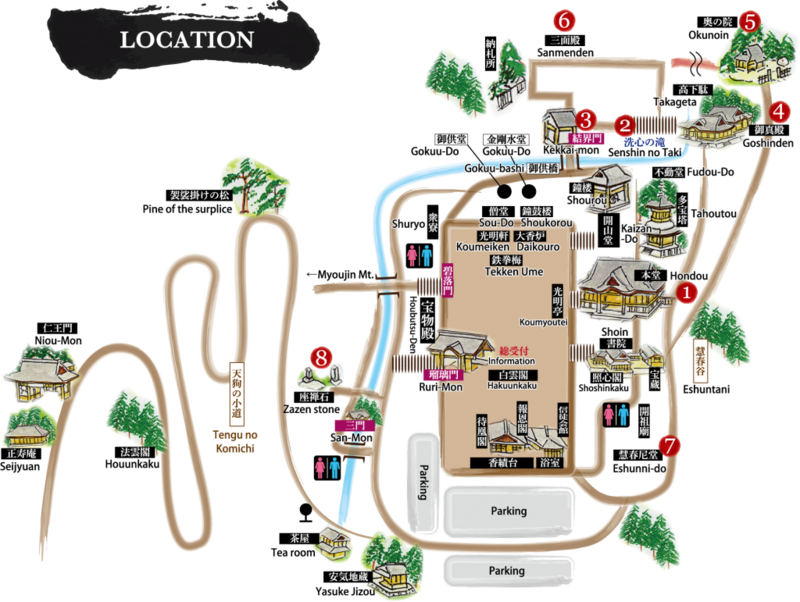 Designated as tangible cultural properties in Minamiashigara-city. 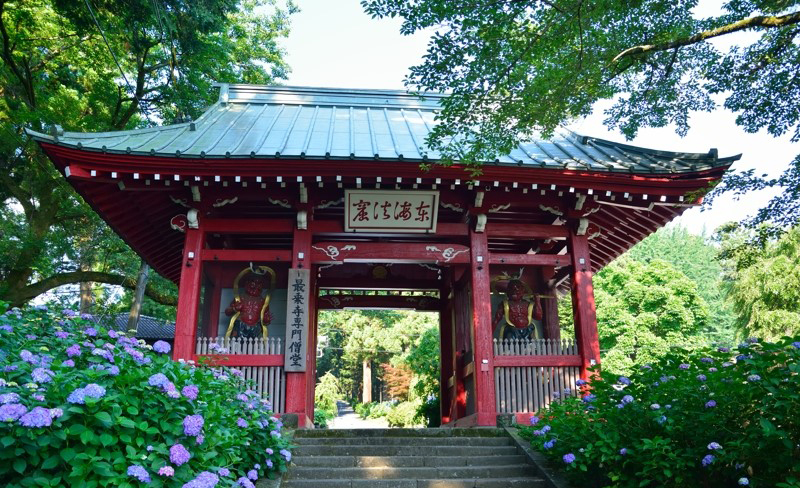 When you look toward “Fudoudo” from the bridge, you can see the “Senshin-no-taki (Waterfall)” which pulled spring water from foot of Myojingatake-mountain. 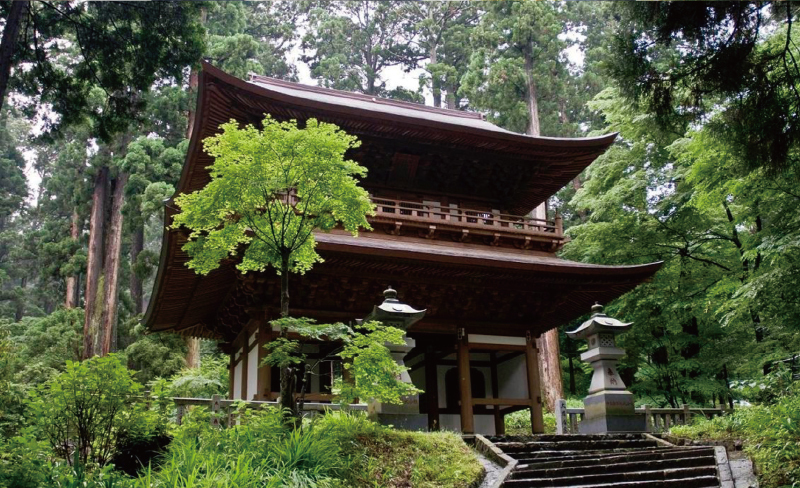 Training shrine where ascetic monks are always applying themselvs to Zen meditation. 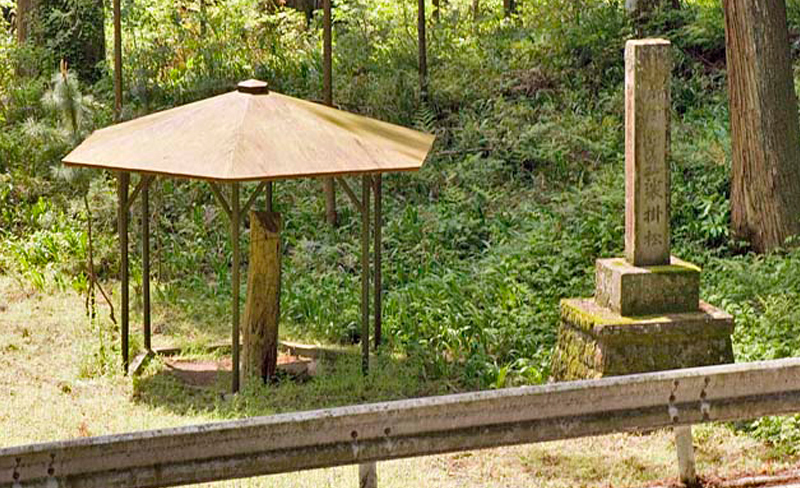 Area after the Kekkai-mon (Boundary fence gate) is a sacred area of the bodhisattva. 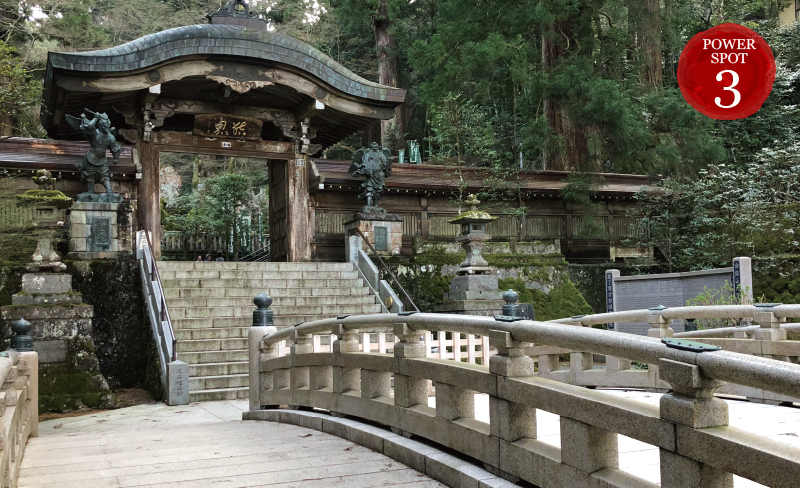 Gokuu-bashi is the bridge used when ascetic monks make offerings to the Douryou-sama. The bridge isn’t usually possible to pass through. One of 100 elections of Kanagawa bridges. 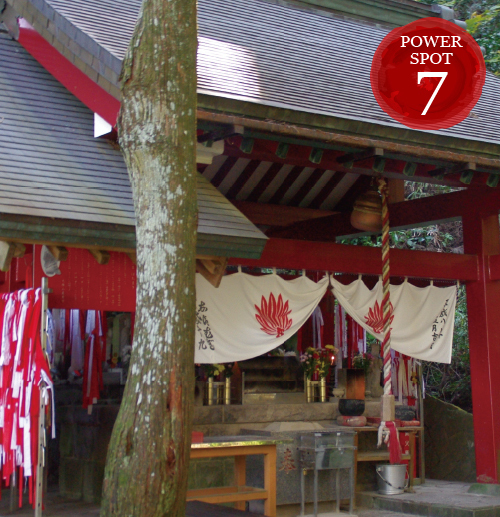 Place where prayer in the morning and evening and special prayer in daytime are performed. 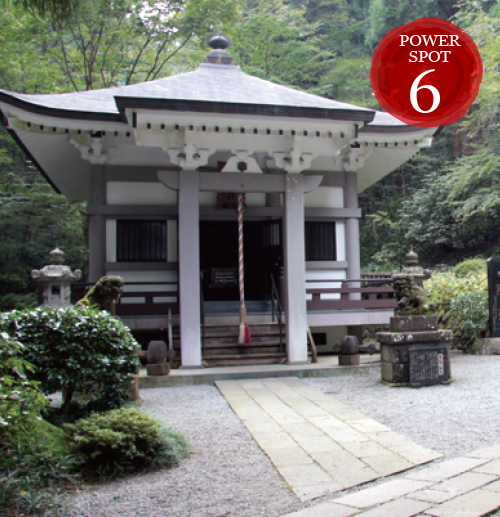 After climbing 354 steps of stone steps, Okunoin located in the highest place of Daiyu-mountain appears. 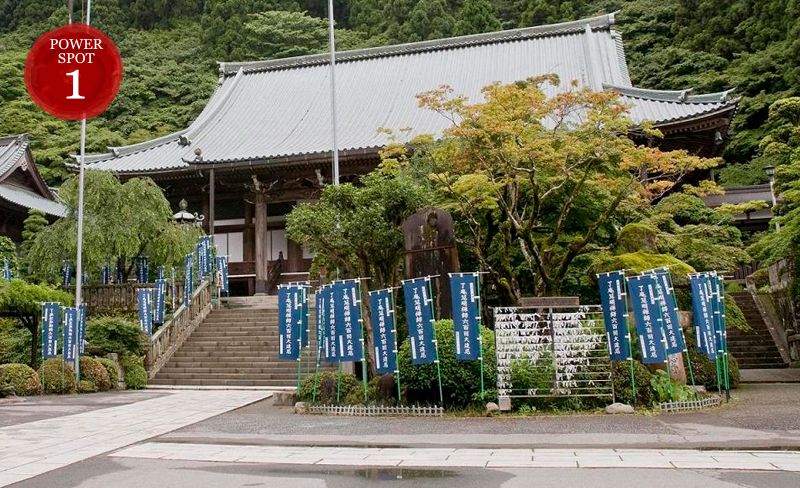 Hot spring with marvelous healing powers (diamond water) springs out from 600 years ago. 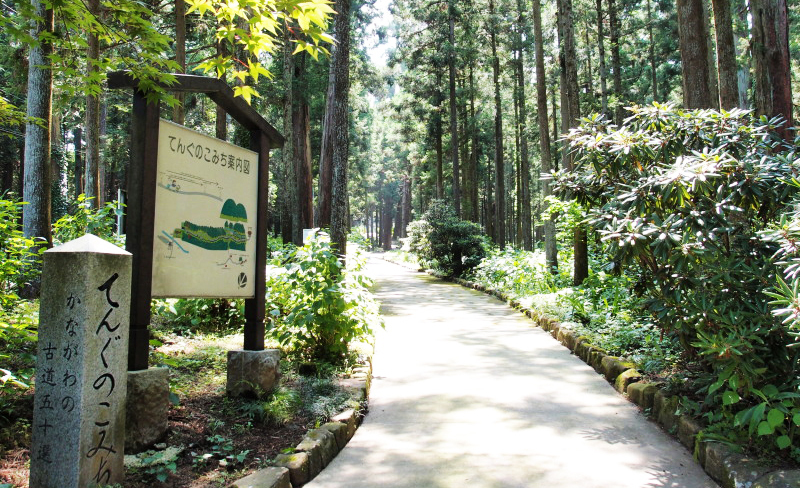 Since then, it is said drinking this hot spring heals various diseases.. 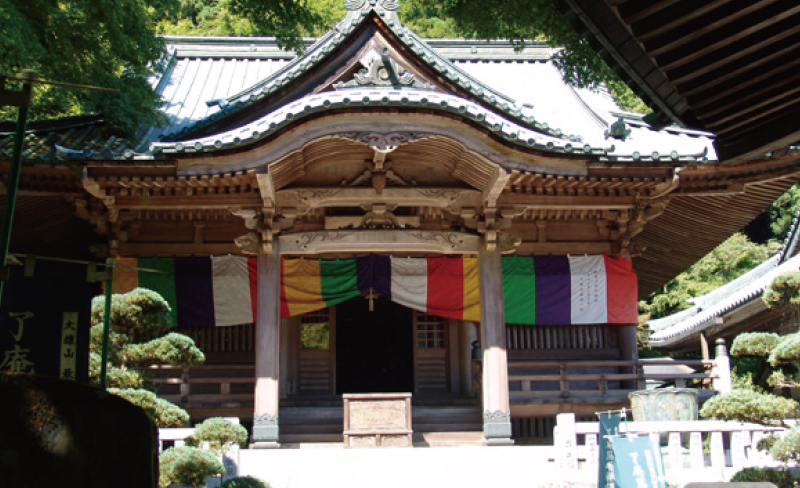 The shrine for Eshunni who is a younger sister of Ryoan-emyo-zenji and became a priest. 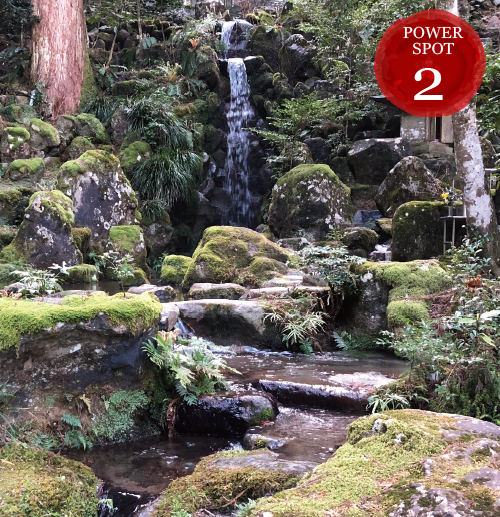 When you look toward “Fudoudo” from the bridge, you can see the “Senshin-no-taki ” which is a waterfall of spring water pulled from foot of Myojingatake-mountain. 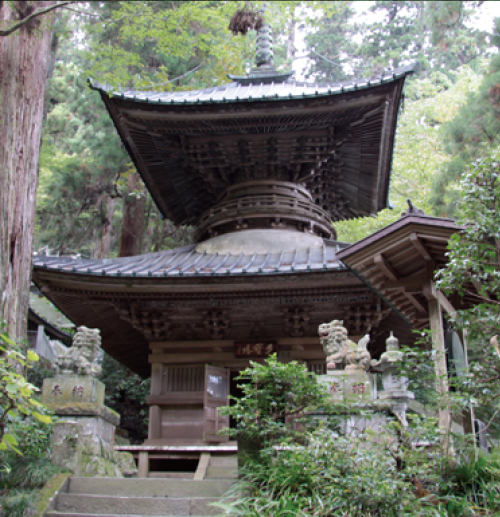 “Fudoudo” is above the waterfall and “seiryu-fudo-myo”, “Tenyu-fudo-myo” and “Aizome-myo” are deified inside. 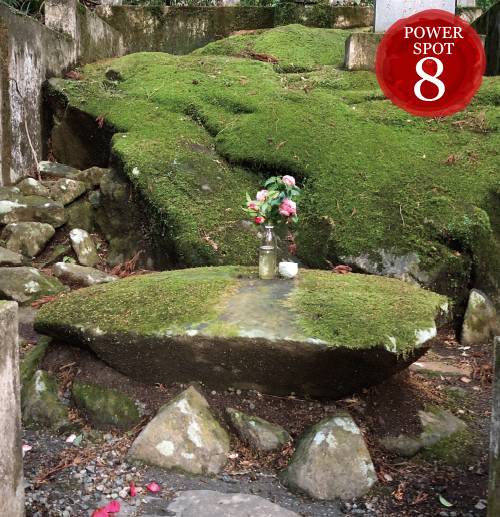 When Ryoan-emyo-zenji sat down on this stone over 600 years ago, Avalokitesvara (bodhisattva of mercy and salvation) appeared and gave an instruction to build a temple at this place. Sanmon is the gate that was built completed on 2003/10/27 to commemorate 600 years in 2010 since Ryoan-emyo-zenji (who built the temple) passed away. 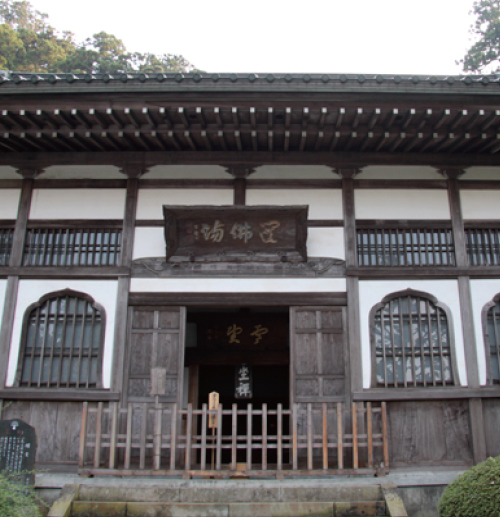 The gate is called “Double Gate” because it have two floors and roofs. 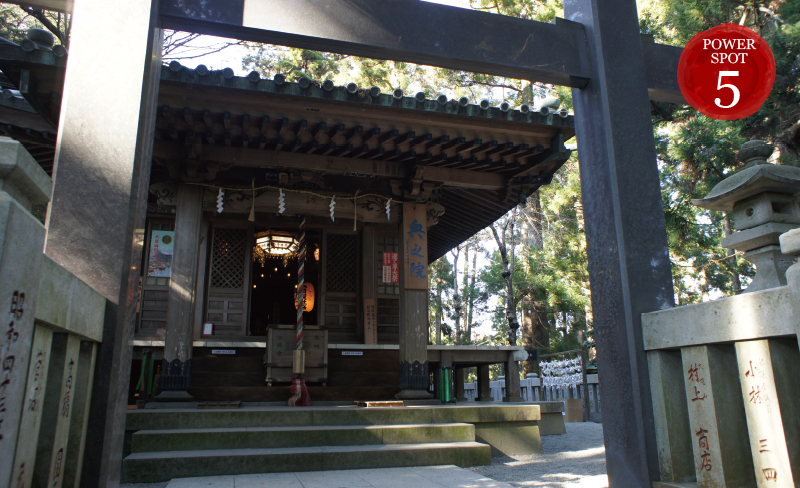 The gate is 22m high and 22 Buddhist images are deified on the second floor. 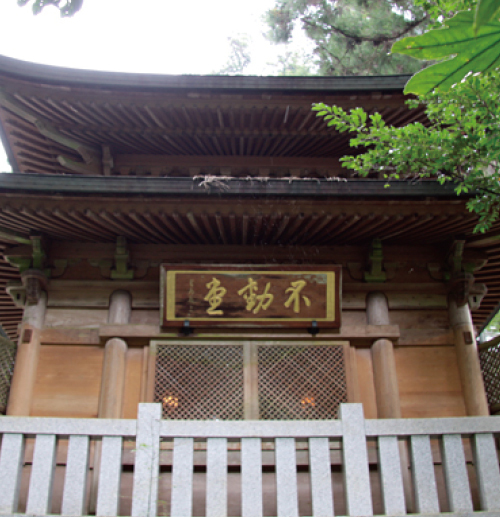 The pine tree by which the legend of origin of SAIJOJI is remained. 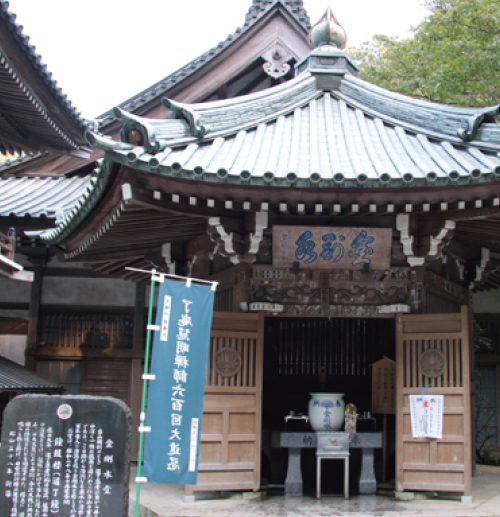 Located in 3-Chome of approach to the Shrine and the statue of Kongou-rikishi is enshrined. The path is surrounded by cedars which are 600 from 450 years old and designated as a natural momument. About 10,000 stocks of hydrangea are planted aside of the roadway.